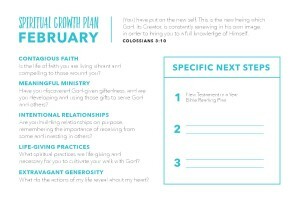 Each month this year, we will be growing our spirituality by focusing on different aspects of the Profile of a Disciple. These include: contagious faith, meaningful ministry, intentional relationships, life-giving practices, and extravagant generosity. 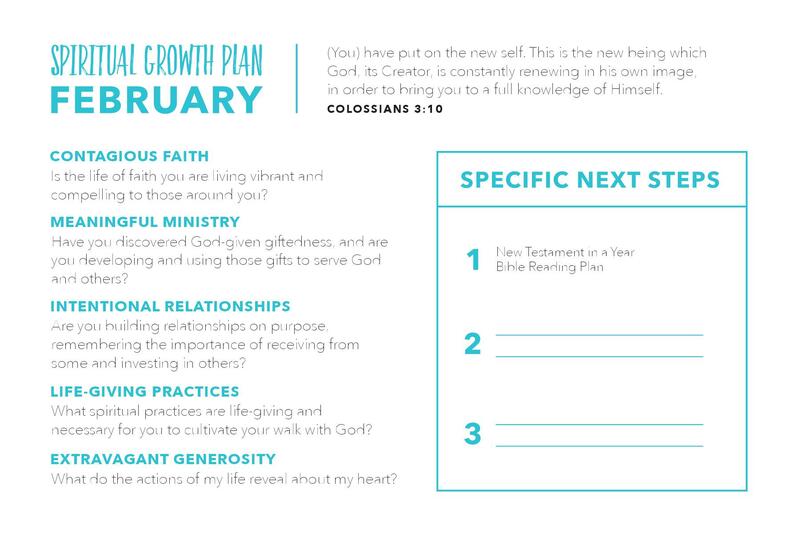 Below is a tool to help you focus on your next steps for February.